Whenever we meet with new clients, we ask them for a list of their wants and needs. A functional kitchen, a big living room, and a beautiful master suite are always on the list. But in the past few years, another item has become a staple on the list- a mudroom. If you’re looking to add a mudroom to your Toronto custom home, be sure to read this first. A mudroom is a small room by an entry point where shoes and outdoor wear can be removed before entering the home. It’s a place where “muddy” items can be dropped off so the dirt doesn’t get carried into the home. 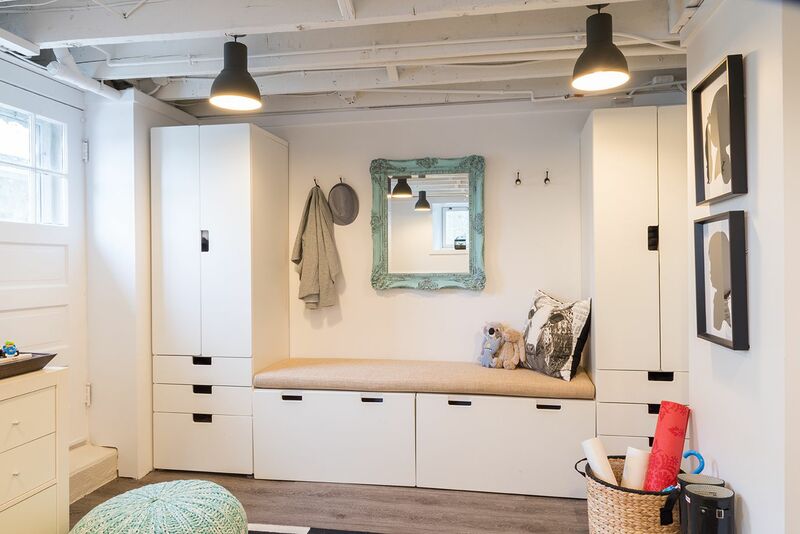 In Toronto custom homes, where space is tight, mudrooms are often multifunctional. It’s a space to store not just outdoor shoes but also sporting equipment, school bags, and extra household supplies. Many people often combine their laundry room and mudroom together. What are the Benefits of a Mudroom? There are tons of benefits of a mudroom, and they can be designed to meet the needs of your family. It provides extra storage for items such as sporting equipment, coats, shoes, etc. Many families with kids put lockers or storages units in them for kids to drop off their backpacks. This way they can avoid the morning scramble of looking for everything. In addition to the extra storage, mudrooms also provide a barrier between the outside and your new custom home. It’s a space where dirty outdoor items can be placed without dragging them through the house. Mudrooms aren’t a new concept; if anything they’re a revival. Back in the old days, it was common to boot room where people would leave their muddy boots behind. They were more common in rural places where roads were unpaved, but around the 1980s they became more formalized spaces. The great thing about a mudroom is that it can be designed to meet a family’s needs. Need it to double as a laundry room? No problem. Need it to store your husband’s hockey equipment? Sure thing. Need it to keep your kids school stuff organized? It can do that too. Thinking of Adding a Mudroom? If you’re thinking of adding a mudroom, consider which entrance your family uses most often. For most families, it’s not the front door. That’s why mudrooms are often placed near a side, back, or garage door entrance. But they can be put at the front door too! The key to designing a good mudroom is to consider what you want its function to be. If you need help designing your mudroom or your dream custom home feel free to contact us today!